We have a number of dedicated spearo charters with destinations in the Huraki Gulf. 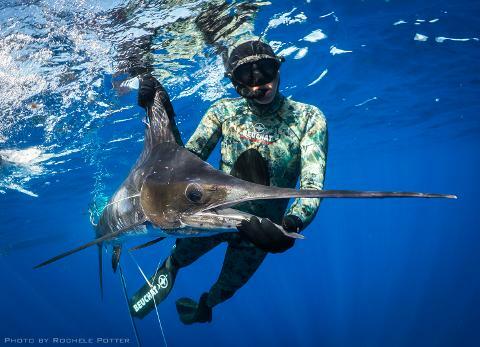 We target certain species to maximise your fun, no fish? then we move onto a new location. Catch a feed and take it home. All levels & experience welcome. Trip typically start 08:30 and run all day until 16:00 or you get too tired! 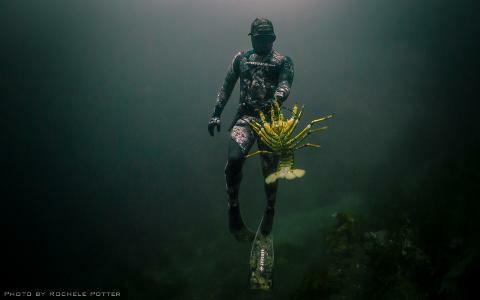 Depths are optional and can be chosen to your capabilities. For the experienced diver we can offer great depths for the really big fish! 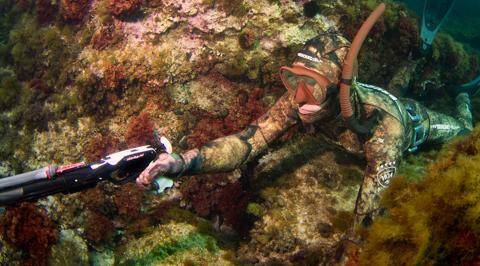 For those of you who are less experienced we can take you to the spots where the reefs are in easy reach. Destinations covered include Lt Barrier, Gt Barrier, Hen Island, Kawau & surrounds. Weather conditions and numbers will affect destination choice. If you have a particular site you wish to hunt, please advise on booking. Charters are an all day event from our dedicated boat. 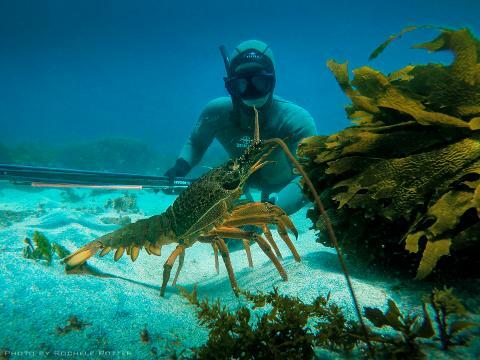 We do not do this on Scuba this is a dedicated Freediving style charter only. Our success rate is high but it is down to the customer to shoot the fish, we do not catch them for you. Please be aware sharks are common in New Zealand when hunting, whilst not a major threat they will be around. 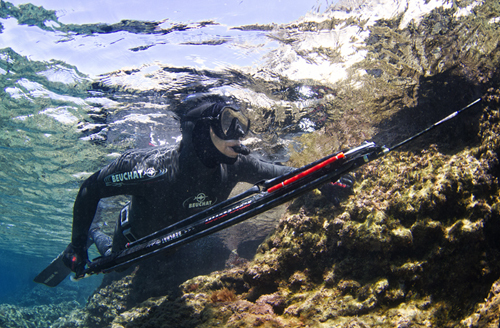 If you are keen to learn then check out our Freediving courses and Spearfishing courses. Contact us for destination information.